Brother Jesse Blog: How do we encourage the value of our little girls? 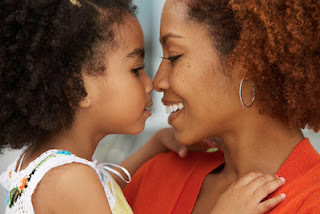 How do we encourage the value of our little girls? What is more valuable than rubies, silver and gold? 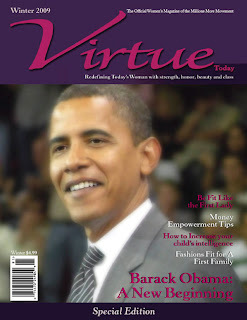 Virtue! Women and men around the world are becoming more concerned with the type of images that they see of women and the type of images displayed to their little girls. There is a saying that “A nation can rise no higher than its woman.” If this is true, we have a responsibility as a community to make a change. Although our bodies are our temples, they should be secured and protected, not exploited and exposed. Young girls need to learn to value their God given talents and their purpose, not their “assets” or body. As Jill Scott says in her song, “Hate on Me, I give you diamonds from my womb” Our young ladies need to realize the power we have as women to give birth to a little Jesus, a little God. The solutions to the problems of the world come from the wombs of women. That is powerful! If you were creating something great in your kitchen, would you just let anybody come in and out of your space? No, you would make sure everyone is aware that you need to have the kitchen clean and clear. You are judged by what you are able to produce. As women, we are the first teachers. However, if we don’t see our value, no one else will. The above story always leads to a very interesting discussion. What can we do as women and men to show our young women the value of their virtue, their integrity, their purpose? 1. Teach them to honor and develop a relationship with their creator. 2. Give them encouragement and support for their talents. 3. Do not tolerate disrespect or abuse and teach them not to tolerate it. Remember, “A Nation cannot rise higher than its women.” Believe me, our Nation is dependent upon it.